SCE workers install FlameSniffers on a transmission tower in the Santa Ynez Mountains. FlameSniffer live data can be accessed via laptop by first responders in the field. The UtiliSite Excellence Award recently went to the FlameSniffer. Early-warning devices stream live data to firefighters, aerial teams and SCE fire personnel. In the thick morning fog that covered the mountains above Santa Barbara, a firefighter held up a barbecue lighter and gave it a flick. 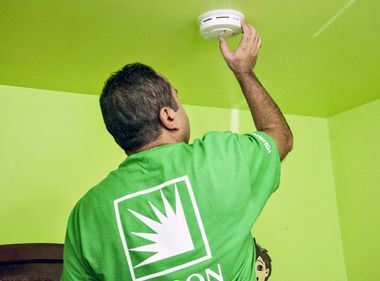 Twenty feet away, a small fire-detection device mounted on a Southern California Edison transmission tower sensed the ignition of the tiny flame. Immediately, dozens of first responders received the text message: “POSSIBLE FLAME ALERT.” Moments later, the device, known as a FlameSniffer, was transmitting pictures and live data to communications hubs at Mission Canyon fire station and Santa Barbara County’s fire dispatch center. Information about carbon dioxide, smoke, heat, humidity, barometric pressure, temperature and wind speed and direction was also immediately available online to firefighters, aerial teams and SCE fire personnel. 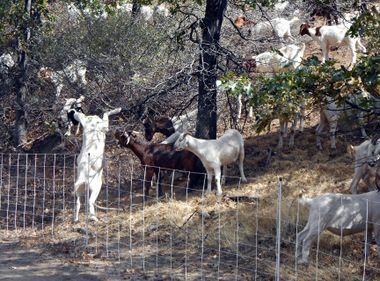 As fire season gets underway and the drought drags on in Southern California, that’s good news for folks who live in the Santa Ynez Mountains, where nine of the devices are mounted in an eight-mile radius. Ravaged by two major fires in recent years, the area is an ideal location for the year-long pilot project, a joint partnership between FlameSniffer, the Santa Barbara County Fire Department and SCE. The devices, which look like small versions of R2-D2, were mounted on SCE transmission towers earlier this year — a move that caught the attention of the Utilities Telecom Council, an industry group based in Washington, D.C. The group recently gave SCE an award for its involvement in the pilot. The Utilities Telecom Council's UtiliSite Excellence Award went to the FlameSniffer because it made use of utility infrastructure for the greater good of the community and for the utility itself. 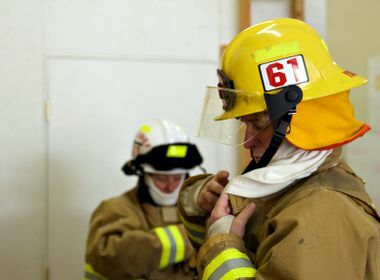 These devices may just give first responders the edge they need to prevent another major fire in a community that has already had more than its share of disasters. “FlameSniffers will give us early warnings to wildland fires, and should we have trouble in an area, we’ll be able to quickly gain intelligence through these devices — through the cameras and other data — to quickly dispatch our crews,” said SCE Fire Management officer Troy Whitman, who was responsible for the utility’s involvement in the pilot. The project is the first pilot site for this type of ground-based, fire-prevention technology in the United States, as well as a first for a fire department or a utility to proactively combat wildfires through early detection and year-round climate analysis.